Panel radiators are known for being sleek, quiet, and putting off a comfortable radiant warmth that isn’t a touch risk. Flat panel radiators are built from very thin pieces of metal designed to allow water to flow freely through them. These radiators create a high amount of surface area without taking up as much space as other radiators. Panel radiators are thin and generally made from lightweight aluminum or durable steel. They can be as narrow as two inches in width, making them easy to position. Panel radiators are still tied to boilers just like traditional radiators, but they aren’t designed to accept steam and generally operate at lower temperatures than traditional radiators. One of the biggest benefits of a panel radiator is that it can save you space in your home. Thin and lightweight, they can be mounted on walls or ceilings. Flat panel radiators don’t have to be heated to temperatures as high as many of the older style units. This means they are safe to touch and often used for multiple purposes. For instance, many people install towel racks on their bathroom radiators to use them to dry off towels as well as keeping the space warm. It also means you can use them around children and pets without worrying about someone getting burned. 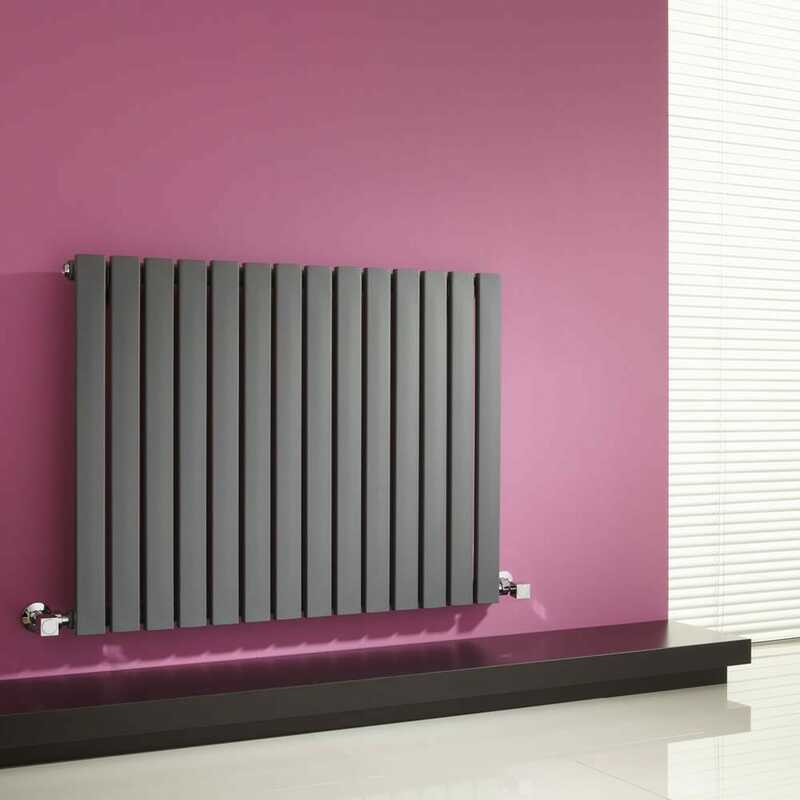 A panel radiator offers a more modern minimalist look and they come in a variety of finishes and designs. It’s possible to get a solid sheet design, or a segmented design depending on the look that you are going for. These radiators can be designed or chosen to match your existing architectural features and they are worth consideration if you’re trying to figure out how to give your home a more modern look overall. Most modern panel radiators are fitted with adjustable thermostats. With panel radiators throughout your home you can keep each room at the desired temperature. A flat panel radiator emits variable amounts of heat depending on the model that you choose. Low-heat solutions emit around 100 BTU per foot of length and other units can emit up to 4900 BTU per foot of length according to VulcanRad radiators. It doesn’t matter if you only have one small vertical section of space open in your room, or plenty of space near the floor. Panel radiators can fit into the space that you have, and make your room design work. There are baseboard style panel radiators that blend in with the wall and floor or vertical radiators that can extend all the way from the floor to the ceiling in a narrow band. A panel radiator isn’t as efficient as some of the column radiators because they simply don’t have as much surface area, but they are more compact and versatile.